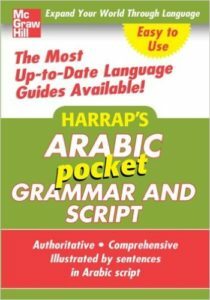 Harrap's is a compact, easy-to-use guide to all areas of Arabic grammar. Featuring an attractive, easy-to-read layout, and written clearly, this book clarifies Arabic grammar for every level of learning. The most important rules of Arabic grammar are explained in easy to understand language with each point illustrated by sentences taken from everyday speech. Arabic classes and textbooks tend to spend a lot of time rehearsing for the same scenarios. You may be prepared for every scenario that may occur at a restaurant in the Middle East, but there's one set of scenarios your Arabic class didn't teach you: how to interact with real humans. Let's say you want to make a new friend or want to start a romance. 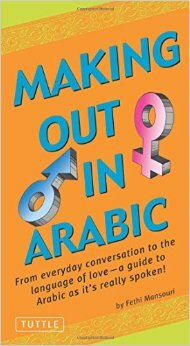 Your Arabic teacher probably didn't teach you the words for dating and hooking up in class--if they did, you had an incredible experience. This book (hilarious at times) will teach you everything you need to know about going out on the town or developing a romantic relationship.